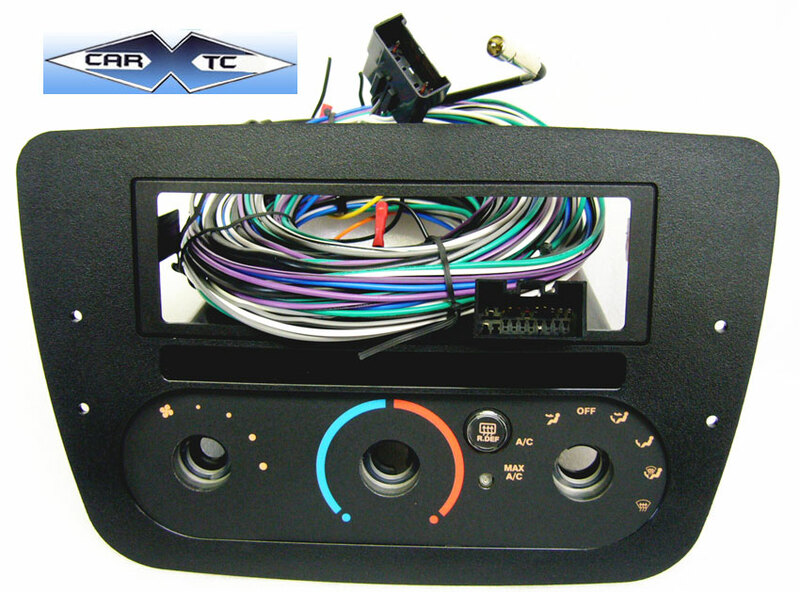 Install Radio Dash Faceplate Kits / Dash Kit for Stereo Installation. Install Kits are used to Convert size differences between OEM Stock Radios & Aftermarket Replacement radios. Many auto makers have factory radios that are bigger or shaped differently than an aftermarket radio. Professional Installers use Dash Installation Kits when gaps are evident. Includes: Easy to Follow Directions, Brackets & Trim Plate. FAQ. Why do I need a Dash Kit? In the simplest explanation, most auto makers factory radio is different in size and/or shape than a new aftermarket replacement radio. What is a Single-DIN, 1.5DIN, Double-DIN & Shaft Radio? - A "DIN" receiver (or "E" fit) is the most common sized receiver. It has a rectangular chassis that measures about 7" wide by 2" high (depths vary), and loads into the mounting surface from the front. DIN-size receivers slide into a metal or plastic sleeve that attaches to the front of the mounting location. - The "I" and "J" fits are essentially the same dimensions as the DIN receivers, but they do not mount through the mounting sleeve. Instead, they attach directly to the side support system of the factory receiver location. "J" fit receivers have a slightly wider faceplate than do "I" fits. Mounting an "E" or "I" fit receiver into a "J" size hole would leave a slight gap on either side of the faceplate.